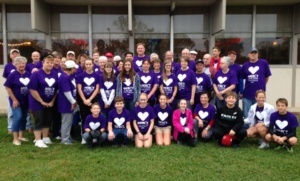 The date of October 20 has been set for the third annual Mercy in Action Day. Catholic Charities of Southeast Michigan (CCSEM) organized the first ever Mercy in Action event in 2016 during the Year of Mercy designated by Pope Francis. The event involves Catholic parishes throughout the six-county region of the Archdiocese of Detroit mobilizing to perform acts of service in their local communities and neighborhoods. For more information about how to get involved in the 2018 Mercy in Action activities, contact one of the regional organizers here, your local parish Christian Service Coordinator, or Joyce Hyttinen at CCSEM at 586-416-2300 ext. 4032 or hyttinenj@ccsem.org.